If your business has international operations, you’re likely all too familiar with the uncertainties of the exchange rate. Today, the exchange might be high, but tomorrow, it might take a tumble. Your buying power can increase and decrease at the drop of a hat. Managing these currency fluctuations is particularly important when it comes to paying your international employees. Here are a few tips you can use to manage these changes in the value of currency as you continue to employ and pay people in international markets. One issue employers sometimes face is the question of which currency to pay in. Many favour paying in their own currency versus the local currency. This is often the case for employers backed by a relatively stable currency, such as the US dollar. Almost every other currency experiences volatility, although to varying degrees. The Canadian dollar, for example, has been weak against the US dollar for some time now, although there was a period when Canadian currency achieved parity with the US dollar. The euro is traditionally very strong, but economic crises in Greece, Italy, and other EU countries have affected the exchange rate. Brexit has been predicted to cause fluctuations in the pound and the euro alike. Paying in the local currency often isn’t attractive for the employer because its value against the home currency may increase or decrease. Nonetheless, it keeps your employees’ wages stable against these changes. In some countries, you’ll be obligated to pay in the local currency by law. Always check the regulations to ensure compliance. Even if you’re allowed to pay in another currency, it’s sometimes a better idea to pay in the local currency. Inflation erodes the buying power of currency within its home economy. Argentina in 2018 provides an excellent example. Consumer prices increased over 47 percent. What does that mean? If you paid your employees one Argentine peso, they could buy 47.6 percent less with it in 2018 than they could in 2017. Their salary is worth less than it is on paper. One way to deal with this is to issue bonuses or adjustments on a regular basis. You may opt to do this annually or even quarterly to keep pace with inflation. This allows your employees’ wages to maintain their buying power. What else can you do to ensure you’re dealing with currency fluctuations adjustments properly? Perhaps your best option is to work with an experienced partner. This partner is often familiar with the market and the country you’re operating in or looking to expand to. They can advise you on law and compliance, as well as help you monitor matters of currency. Professional employer organizations have already helped other companies like yours through currency fluctuation adjustments, and they know the best way to handle them. If you offer your employees packages, such as healthcare benefits or assistance with the costs of living, you’ll need to choose what elements of this package to protect. Protecting salary is usually a good choice. You may decide to let the value of other benefits you’re providing erode in order to keep employees’ salaries in line with inflation. Another thing you can consider doing if you want to protect against currency fluctuation adjustments is to establish a guaranteed exchange rate for your employees. This can protect against small fluctuations in the market, but it poses a larger risk if the currency experiences extremes. If you’re not sure what your best option is, get in touch with the experts at a professional employer organization in the US or Canada. 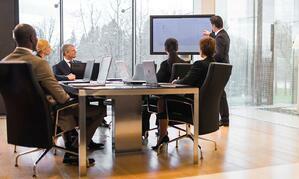 We can help you evaluate the situation and determine the best solution for your business. It’s often said that your people are your biggest asset. Although some people disagree with this idea, the importance of human capital to your business can’t be understated. In fact, some people go to the opposite extreme, suggesting the only thing that sets you apart from your competitors is your people. Once you’ve gone to the work of hiring someone, you want to make sure they stay on your team. After all, you spent time considering why they were the right fit for your organization. If they leave soon after, it will cost you in many ways. In the current market, it’s also more difficult to replace talent. 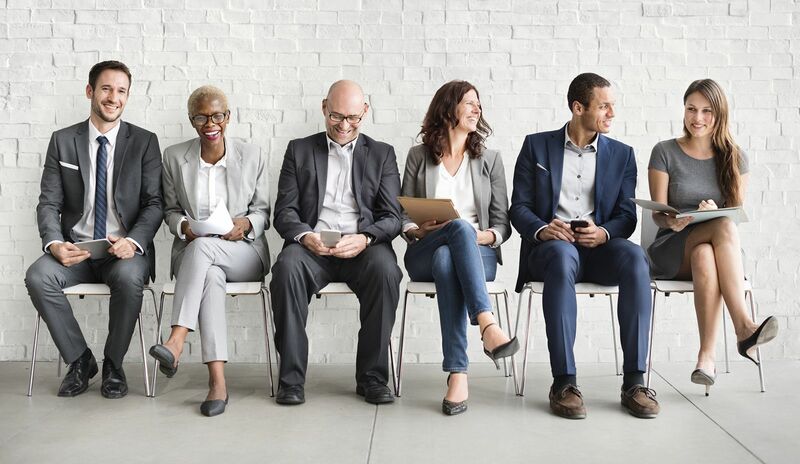 Talent shortages have started cropping up in some markets, and falling unemployment rates in places like Canada and the United States have meant there are fewer people searching for jobs. You have plenty of reason to retain the people you’ve already hired. Doing so can be difficult, even when you’re overseeing the day-to-day operations in the office. What happens when your employees are in another country altogether? These five talent retention strategies will help you keep international employees on your roster. If you want your employees to stick with you, you have to show you trust them. While this is true for all employers, it’s particularly true when your employees are located in a different country. If you’re constantly checking in or smothering employee attempts at independence, your employees will quickly become dissatisfied and move on. Treat your employees like the talented, intelligent professionals they are. Allow them to exercise some of their better judgement. One way to demonstrate your trust in an employee is to invest in their career development and growth. Sign them up for a workshop on improving their sales skills or assist them by providing a mentor. You can also assign employees to new tasks. This challenges them to continue learning. It also demonstrates that you have faith in their ability to master new skills and succeed in an expanded role or with new responsibilities. How do you communicate with your employees, particularly those who are located in another country? Communication should be a key pillar of your talent retention strategies. Focus on how you talk to your employees. You should ask them to voice their concerns or offer feedback. Encourage them to table new ideas. You need excellent communication with those employees living and working in another country. They’re the only ones who can tell you what’s happening in the business and what they’re seeing on the ground. Fostering open and honest communication helps employees feel valued. One big stumbling block for international employers is adjusting to local expectations and cultural norms. Even Canada and the US have quite different business cultures. Take, for example, communication standards. Americans are more likely to value being concise and direct. Canadians prefer small talk and consensus building. They’re more likely to see it as polite. This can sometimes cause animosity and confusion. Americans may want their Canadian counterparts to get to the point, while Canadians can sometimes see American-style missives as borderline rude. Keep these sorts of cultural differences in mind whenever you deal with employees in another country. Being aware of differences and adjusting for them will help your employees feel more like part of the team. Today’s workforce is looking for meaning in work. They want their work to have a purpose, even if it may not change the world. Help your employees build a sense of purpose, and they’ll be more likely to stick with your company for the long term. Talent retention strategies are wide and varied. These few can help you work towards higher retention for your international operations. Whether you’re a Canadian business owner looking to hire American employees or an American manager staffing a Canadian expansion, you know exactly how much stock your organization places in your people. Human capital is often one the biggest assets any company has. In fact, many experts now theorize people are one of the only things that set organizations apart from their competition. As with anything in business, building and maintaining human capital comes with risks. People you’ve spent years training may decide to leave. Hiring a new person has inherent risks. There are also risks associated with labour laws and compliance, some of which can turn into costly legal matters. Accidents and injuries are other risks. These five methods can help you manage and mitigate some of the risks associated with human capital in North America. The first thing you should do is identify the risks associated with your human capital on both sides of the border. What are the costs associated with an unmotivated or disengaged employee? What are the risks of hiring someone who isn’t the right fit? Keep in mind that risks extend beyond hiring and dismissing employees. Many accidents and injuries take place in the workplace, which pose risks to you in terms of talent loss and legal costs. Don’t wait for the worst to happen. Instead, identify the risks and create a plan to deal with them as they arise in the business. Many of the human capital risks for North American businesses involve employee behaviour. A disengaged employee is a flight risk, but they might also engage in unethical behaviour. Employees who are under pressure to perform may not act ethically either. Still other employees may abuse positions of power. You can avoid many of these problems by building a positive work culture in your organization. Determine your values and communicate them to employees. Then walk the walk. If you say you value employee feedback, be sure to collect it and act on it. Put some emphasis on valuing your people, and, in return, they’ll value your company. While the traditional HR approach to managing human capital risk is solid, you might want to take cues from some of the other divisions in your organization. How does the IT department approach risks? What about the financial division? One way to see risk is not as a risk, but as an opportunity to optimize uncertainty. You don’t know which employees will be star performers and which ones won’t quite fit the bill when they start. Take steps to manage this uncertainty. In doing so, you’ll increase the chances you’ll find more star performers. You collect workforce data; put it to good use. Don’t just collect it. Instead, organize and analyze it. By doing so, you can discover the insight you need to make better decisions. Determining where your risks are can provide you with the knowledge you need to develop a better risk management strategy. Human capital risk management across borders comes with many challenges. You may not be familiar with the local labour market, for example, or you might not be familiar with regulations around the hiring process. Working with experts on either side of the US-Canada border can help you manage your risks more effectively. It’s particularly helpful when you’re navigating the legal waters around your HR operations. These tips can help you reduce and mitigate various human capital risks in your operations. By doing so, you’ll set up your company to grow its human capital and succeed in almost any market you enter. Do You Understand the Canadian Employee Dismissal Process? Understanding the laws where your business operates is integral. When you follow the rules, you’ll be able to ensure you avoid legal battles, as well as continue to grow and achieve your business goals. This is particularly important when it comes to employment legislation. These laws govern how you deal with your employees, including hiring, contracting, and even dismissing people. The laws are designed to protect workers. Without them, companies could easily violate people’s rights. Even with these laws in place, human rights are sometimes violated by businesses, often unwittingly. 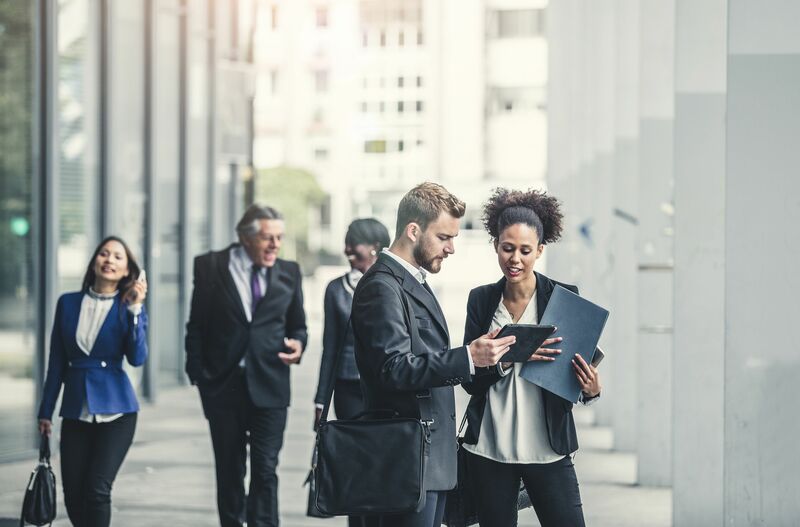 In places like Canada, where the Charter of Rights and Freedoms and the UN Declaration of Human Rights are entrenched, the laws surrounding employment can be quite robust. For this reason, it’s important you understand the Canadian employee dismissal process. Employment law generally extends to the entirety of the employee lifecycle. For example, employment law may legislate the kinds of questions an employer can and can’t ask during an interview. Generally speaking, discrimination during the hiring process is illegal in Canada. If a job candidate feels they weren’t considered for a job due to discrimination or bias, they can bring a suit against your company. Employment law also governs how you treat your employees during the time they work for you. It may dictate things such as paid and unpaid breaks, shift lengths, duration between shifts, vacation time, overtime, and more. Typically, employment legislation also extends to the process of dismissing an employee. This is the end of the employee lifecycle. If an employee is not dismissed, they may decide to quit or retire. These actions also represent the end of the employee lifecycle. The first thing you should know about dismissing an employee in Canada is that you must have a reason to do so. This comes back to concerns about discrimination and human rights. For example, it is illegal for an employer to dismiss a female employee because she decided to have a child. Grounds for dismissal are usually more objective. You may have concerns about the employee’s ability to do the job. An employee who has been warned repeatedly about absenteeism may be dismissed if there are no legitimate reasons for their absence, such as illness or familial leave. When you dismiss an employee, you must give them proper notice. The federal law, which governs only federal employees in Canada, suggests dismissed employees must be given a minimum notice of two weeks. This law varies among provinces. The length of notice is often related to the length of tenure. For example, in Ontario, an employer must give two weeks’ notice to an employee who has worked for them for two years. An employee who has worked for an employer for three years receives three weeks’ notice, and an employee who has worked for you for eight years would receive eight weeks’ notice of the dismissal. Sometimes, you’re not in a position to give enough notice to an employee in accordance with the law. Perhaps head office gave you short notice about dismissals happening two weeks from now. Some people affected have worked for you for many years. In another scenario, an employee who has been problematic may not be someone you wish to have back in the office, so you dismiss them without proper notice. In these cases, you have the option to pay the employee for the notice period. If you can only give an employee of eight years two weeks’ notice, you’ll need to compensate them for the remaining six weeks of notice they should have received. Again, the law varies among provinces, so be sure to check specific requirements where you operate. The other exception the law makes is a probationary period, usually the first three months of an employee’s tenure with your company. In this situation, you can dismiss the employee with relative ease. Notice and compensation requirements do not apply to employees during their probationary period. Understanding these rules will help you avoid penalties and negative consequences when it comes to dismissing employees. Dismissing an employee is never an easy task. Doing it the right way and in line with the law makes it a little easier. Is It Possible to Hire Canadian Employees for My American Business? You’re hiring for an American company. You’ve just seen the best resume in the bunch and you’re convinced you need to hire this person to do the job. They have all the right skills, the right education, and a lot of experience. You may have even had a phone interview with them. There’s just one problem. This person is a Canadian. Can you actually hire Canadian employees for an American business? The easy answer to this question is “yes.” You absolutely can hire Canadian employees for an American business. You’ll want to be aware of the implications of making this hire. There are also a few different situations in which it’s appropriate to hire Canadian employees. There are also some situations when it isn’t possible to hire Canadian employees. While the simple answer is yes, there are many factors you must consider. If your business is operating in Canada, it is most certainly acceptable and possible to hire Canadian employees. In fact, it’s probably expected, especially if you have physical locations in Canada. It would be difficult to hire American employees to staff a retail store in Yellowknife, Northwest Territories. You’ll want to pay close attention to the differences in employment legislation and payroll in Canada. You may even want to engage an employer of record to act as the employer for your Canadian employees. The employer of record knows the ins and outs of Canadian payroll and human resources legislation, so they can make managing your Canadian workforce much more streamlined. An American firm can opt to sponsor a Canadian worker to be employed by the company. This usually involves obtaining a visa or work permit for the Canadian employee. This allows them to legally work in the United States. Without one, they cannot work for you legally. There are several different classes of visa your Canadian employees could apply for. A common one is the TN1 visa, which is sponsored under NAFTA legislation. With this visa, you can invite qualified professionals in several different occupations to work for you in the US. There are some requirements, such as having the right education and relevant experience. Workers filling some roles, such as a construction labourer, wouldn’t be eligible for a TN1 visa. You’ll also need to provide an offer of employment. With the advancements of technology, it’s now possible to have employees located all around the world. You can absolutely hire a Canadian to work remotely for your company. In many cases, you’ll structure this type of employment as contractor work. Rather than hiring the person on as an employee, they’ll render services for you and bill you for them. You’ll still need to fill out and file paperwork, such as a W-8 BEN. You may need to withhold taxes from contractors as well. If you hire someone to work remotely as an employee, the situation can become somewhat more complex. You may want to consider working through an employer of record or talk to a lawyer before you hire this person. There may be certain situations when it’s preferable to hire a Canadian, and there may be situations where it isn’t advantageous for you. Is It Right for the Business? Before you hire a Canadian employee for your American business, consider whether it’s the right move. If the person is truly the best-qualified or you need someone on Canadian soil, then hiring a Canadian might make the most sense. In other cases, the red tape and paperwork could make it less advantageous. Each situation will be unique, but in most cases, it will be possible for an American company to hire Canadian employees. If you need assistance or have questions, talk to an employer of record. Who Qualifies for a TN 1 Visa? Are you a Canadian professional hoping to get a job in the US with an American company? Maybe you work for an American firm looking to hire top talent, no matter where those people currently reside. If so, you may be wondering about the visas available for people to come and work in the United States. One of those visas is the TN 1 visa, which can be used to get foreign professionals working in the US. The TN 1 visa program was created under the North American Free Trade Act (NAFTA) in 1994. This trade agreement allows free trade between Canada, the United States, and Mexico. Free trade agreements often include provisions for workers as well, opening up opportunities for citizens of the signing countries to work in the other countries. The TN 1 visa is designed to help professionals in certain areas move between the three countries. This allows companies to hire the very best of the best. Generally speaking, you must be a citizen of Canada or Mexico to qualify for a TN 1 visa. This is a non-immigration visa that allows people to go work in the United States. Canadian citizens usually face fewer restrictions than those applying from Mexico on account of closer ties between Canada and the US. Of course, not just anyone can apply to get a TN 1 visa. If you could, it would be much more difficult to get one. As it stands, the TN 1 visa is one of the easier visas to get provided you meet certain criteria. The TN 1 visa is not for everyone. The program is designed to facilitate the movement of highly trained and talented professionals between Canada and Mexico, and the United States. Some educators and engineers are welcome to apply under the provisions of the TN 1 program. A list of the qualifying professions is available online. If your profession isn’t listed, you won’t qualify for the TN 1 visa program. Another issue is ensuring the people who apply are actually qualified in their fields. To that end, you’ll need to prove you have education and work experience in the area you’re applying in. Someone who is a computer engineer can’t apply to the TN 1 visa program as a mechanical engineer. An educator can’t apply as a physicist. You may have to prove your qualifications before you’ll be approved for the TN 1 visa. Another restriction on the TN 1 visa program is that those who apply must have a job waiting for them in the United States. This visa does not allow you to enter the US and then look for work. It’s awarded to people who have already secured employment in their fields and now need a visa in order to legally work in the US for a particular US employer. Most of the time, this is facilitated by the potential employer. They’ll write you a letter, outlining the job offer you’re accepting. They’ll even vouch for your qualifications. If you don’t have a standing job offer, a TN 1 visa is not the visa for you. The list of who doesn’t qualify for a TN 1 visa is a little lengthier. People who aren’t citizens of Mexico or Canada can’t apply. Those who work in areas or have accepted jobs in areas not listed under the terms of the program also don’t qualify. Those who aren’t qualified to work in these areas wouldn’t be eligible for a TN 1 visa. Finally, those who don’t already have a job on offer don’t qualify. If you meet the criteria, a TN 1 visa could be right for you! What Is an Unlimited Liability Company (ULC)? Setting up shop in Canada is an exciting prospect for your business. As you look to open the doors on your first location, you’re likely wondering how you should go about structuring your business. You might wonder if it’s better to set up as a branch office. Maybe you should be a subsidiary? The terminology can sometimes be confusing and there are many different options for the structure. You might have heard of unlimited liability companies (ULC). Is this structure right for your business or should you steer clear? Your business is looking to move north of the border, and you need to structure your Canadian holdings somehow. You were debating a branch office and a subsidiary, but someone has now mentioned an unlimited liability company as an option. If you choose to become a subsidiary, you can incorporate as a ULC. You’re curious. You want to know what this vehicle can do for you. ULCs are becoming more popular with American businesses as a way of structuring their Canadian subsidiaries or Canadian assets. A ULC is a hybrid entity, but it’s treated as a regular Canadian corporation for tax purposes. As such, it’s subject to the 25 percent withholding when it comes to paying shareholders dividends and interests. The ULC is only available for businesses operating in Alberta, British Columbia, and Nova Scotia. It has specific tax advantages, which is why it intrigues most US business owners. The primary advantage of a ULC is it avoids the issue of double taxation in the US. Shareholders may find they’re being double-taxed, paying both personal income tax and corporate taxes on payments from their corporate income. The ULC can also defer US tax on its own income. Since Canadian tax rates are lower than US taxes, it’s advantageous for a company to pay Canadian taxes and defer the US tax. The ULC can be treated as a corporation for US tax purposes. It can also be treated as a disregarded entity. Finally, the ULC allows for flow-through of both profits and losses to shareholders. Flowing through the company’s losses can help shareholders offset their income, thus reducing their taxes. There are a few other advantages to using a ULC if the option is available to you. First, it could allow you to invest in passive investments in Canada. Foreign holding companies can sometimes run up against the US anti-avoidance rules when they invest passively in Canadian assets. The ULC structure doesn’t trigger these rules. Another, smaller advantage is that a ULC doesn’t have the same stringent rules about Canadian representation on the board of directors. For most subsidiaries, you’ll be required to place a particular number of Canadian citizens on your board. No such requirement exists for ULCs. It’s not all rosy with ULCs. Perhaps the largest drawback is they can only be formed in three of ten provinces in Canada, which limits your choice of operation base. The tax situation can become somewhat punitive, depending on how your US business is structured. If you’re operating as a disregarded US Limited Liability Company (LLC), a ULC can certainly be tax inefficient. There’s also the idea that the business’ liability is not limited, as it is with an LLC. If the business goes under and needs to be liquidated, the shareholders become responsible for the company’s debts and liabilities. Even former shareholders can be liable in certain circumstances. ULCs are not the correct structure for every business, but it could be the right choice for yours. If you’re still unsure, talk to the experts today. Your company has opened a branch office or a subsidiary in Canada. You’ve hired Canadian employees, maybe for years now. Today, however, you’re faced with a unique prospect. Some of your Canadian employees are crossing the border into the United States. They’ll still be working for you while they’re on US soil, so now you’re wondering about the visa implications. Do they need a visa? Which type of visa will they need, and how can they obtain it? The North American Free Trade Agreement (NAFTA) provides for Canadian and Mexican citizens working in particular professions to obtain a visa to work for a US employer. Generally speaking, the employer must be employing the professional in one of the approved professions and the position must require a NAFTA professional. An example might be bringing a bioengineer across the border from Canada. The profession qualifies under NAFTA. You’re going to employ them as a bioengineer, and you’ve already looked for an American professional in this area. Your potential Canadian employee, however, has better qualifications and more years of experience, and is thus better qualified to do the job. You must have made an offer of employment for full-time or part-time work to the person before they apply for the visa. When Do Canadians Need a TN 1? 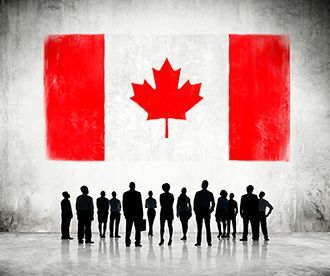 It’s unlikely a Canadian citizen would need a TN 1 visa if they were coming to the US for a single day to lead a workshop or seminar at your headquarters. They wouldn’t need a TN 1 if they were coming to the head office for a week of meetings either. There’s a different visa for that. 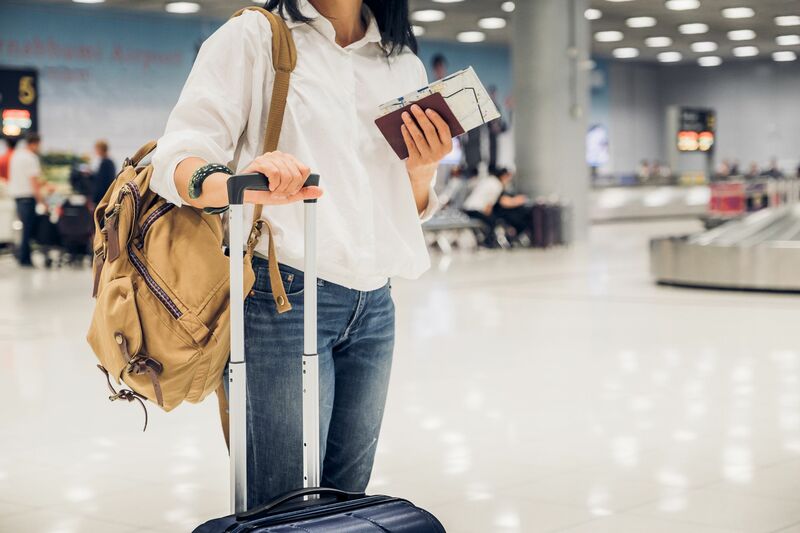 If you’ve decided to promote someone from your Canadian branch or you’ve hired a Canadian professional to come work at your US office full-time or part-time, however, they’ll need to apply for the TN 1 visa. They also cannot be immigrating to the US, as the TN 1 is a non-immigration visa. Canadian citizens don’t need to apply for their TN 1 visa at a US consulate. Instead, they can simply provide the required documentation to a US Customs and Border Protection officer at the time of entry into the US. What does someone applying for a TN 1 visa need? The requirements are actually only a few extra documents. The employee will need proof of Canadian citizenship and some proof of their credentials as a professional. The employer must also provide a letter detailing the job, the length of stay in the US, and the candidate’s educational qualifications. The employer can also choose to file on the employee’s behalf. They can do so by submitting Form I-129, Petition for Nonimmigrant Worker to USCIS. You should keep in mind the TN 1 visa is temporary, which is reflected in its status as a non-immigration visa. Essentially, a Canadian citizen cannot move to the United States indefinitely on the TN 1 visa. TN 1 visas can be issued for up to three years. This makes them ideal for project-based or temporary assignments. If you have a big engineering project that has funding for two years and you want to bring in a Canadian engineer to lead the team, a TN 1 visa might be the perfect fit. If you’re hiring someone indefinitely, then you might want to consider other visa types, although they can be more difficult to obtain. You can always sponsor an employee for an immigration visa if you need to hire someone long term, but the restrictions and requirements are more onerous. All in all, however, the TN 1 visa is a great option for US employers and Canadian employees alike. You hired an employee in Canada. Now you need to know how to go about terminating their employment with your company. In Canada, as in other countries, there’s legislation governing how you should go about this process. If you don’t comply with the regulations, you could find yourself facing fines or penalties. An employee may even decide to take you to court. Almost all of the various legislation in Canada around employee termination agrees on a couple of things. First, you need to provide the employee with notice of their termination. At the federal level, this is two weeks’ notice, but the provincial legislation is of more concern to most American companies. In Ontario, if the employee has worked for you for less than a year, you’re only required to give them one week’s notice. The longer an employee has worked for you, the longer the notice period is. For example, if an employee has worked for eight years with your company, you must give them eight weeks’ notice. By contrast, employers in Quebec don’t need to give as much notice. Eight weeks’ notice is given to employees who have 10 years or more of service, while those with five to 10 years will receive four weeks’ notice. Other provinces have their own rules as well. The idea behind giving notice about termination is it allows the employee to prepare. The employee receives their wages for the notice period, up to two months in some cases. If you can’t give notice for some reason, you need to provide termination pay instead. In Ontario, the termination pay you provide must be equal to what the employee would earn over their notice period. If, for example, you terminate an employee with eight years of service but give them no notice, their termination pay must be the equivalent of eight weeks of wages. If you gave the same employee four weeks’ notice, you’d be required to pay them four weeks of wages. An employee with four years of service would not be entitled to termination pay. In most provinces, there’s a period of time after an employee’s hire date colloquially known as the “probation period.” In Quebec and Ontario, this period is three months. You’re not legally required to provide notice or termination pay to employees who have been with you three months or less. This is recognition that sometimes you’ll hire someone who just doesn’t work out. If, at any point during the first three months, you’re not seeing satisfactory improvement, you can let the employee go. You must provide a reason for termination. Sometimes, it will be that you need to scale back your operations. Reorganization and budget constraints can cause businesses to shed positions. In this case, provide as much notification to the employee as you can and be prepared to pay termination pay if you can’t provide sufficient notice. If you can, provide a better severance package. Layoffs are handled differently, and most provinces make special provisions for companies that need to terminate a large number of positions at one time. Otherwise, you must always provide a sufficient reason for letting the employee go. This is another reason for the termination payments and notice periods. It forces employers to think through their decisions and to try to work with the employee to resolve things instead of just terminating someone immediately. Beware: If you can’t provide an adequate reason for the termination, you could face a fine or even a lawsuit. Finally, once the employee has been terminated, you’ll need to provide them with a Record of Employment for their files. If you need help with any of this, a Canadian employer of record can always assist.